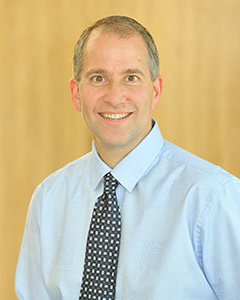 Joining Cary Gastroenterology in 2001, Dr. Michael Brody is Board Certified in Gastroenterology and Internal Medicine. He's a member of the American College of Gastroenterology, the American Gastroenterology Association and the American Society of Gastrointestinal Endoscopy. Dr. Brody is a graduate of the University of Pennsylvania, Philadelphia, PA. He received his medical degree from the Thomas Jefferson Medical College of Philadelphia, PA, where he was awarded the Henry Keller Mohler Memorial Prize for as an outstanding medical student in Therapeutics. He then completed an internship and residency at Thomas Jefferson Medical College of Philadelphia, PA. Dr. Brody completed his gastroenterology/hepatology fellowship at the University of North Carolina School of Medicine, Chapel Hill, NC, with subspecialty training in esophageal disorders, including Gastroesophageal Reflux, Inflammatory Bowel Disease and disorders of the biliary tract.